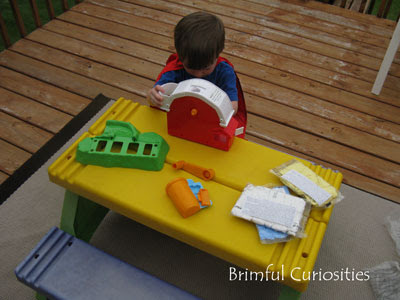 Exploration through tactile play is an important part of childhood. My kids especially love it when I bring out the play dough. They roll and shape it into interesting forms and like the way it feels when they squish and knead it between their fingers. Playing with dough improves motor skills and encourages creativity. Recently, thanks to an opportunity provided by Team Mom, we had the chance to try a new kind of moldable dough called Moon Dough. It is a very lightweight, dry and crumbly dough that easily compresses into shapes. And, according to the manufacturer, it never dries out, is hypo-allergenic, and is wheat-free. 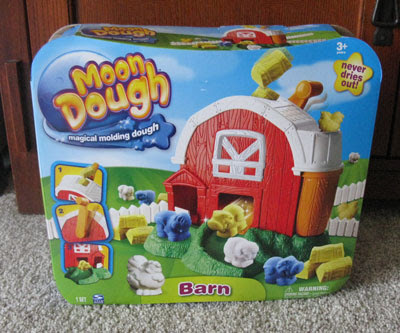 We received the Moon Dough Barn product to test and review. The large plastic barn is actually a crank driven toy that molds the dough into four different animal shapes: cow, sheep, horse or chicken. The barn requires some minor assembly before kids can play with it. The lightweight dough is a very different product to work with than your typical play dough and feels really interesting to squish and compress. 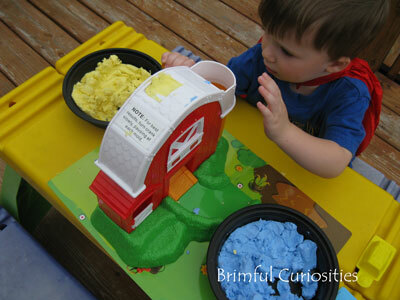 My kids had fun trying to form the Moon Dough into balls, placing it into the hay and bale molds and liked crumbling it into bits. They also really, really enjoyed pressing the dough into the top compartment of the barn and turning the crank to create the various animals one by one. 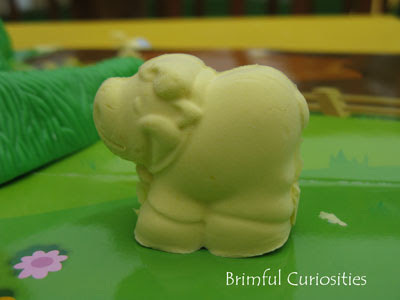 Oftentimes they were in such a hurry to make an animal that they didn't put enough dough into the mold compartment and didn't fully compress it before cranking so they would end up with half-formed animals. 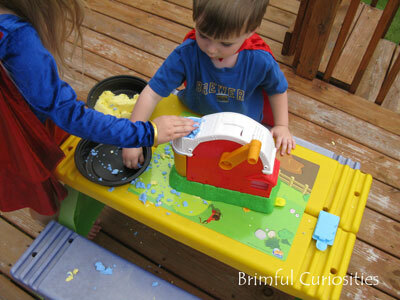 This is a fairly messy activity so I decided to let the kids play with the dough outside to simplify clean up. The dough does end up everywhere because it is so lightweight and it tracks easily. I think that adult supervision is necessary for kids who use this product. Care needs to be taken if you don't want the different dough colors to mix. In my opinion the play mat is a little on the small size (the manufacturer suggests covering the play surface with a plastic sheet or disposable table cloth). If my kids played with it indoors, I think I'd invest in a large shallow tub or tray to help contain the play. What I really like about this toy is that it gives me the opportunity to talk to my kids about the science and processes of molding. (Yes, the mechanical engineer side of me really loves mechanical toys. I worked for a company that specialized in blow and extrusion molding, so molding toys are especially intriguing to me.) While it seems like magic, the barn is actually a machine that molds figures. Molding is an interesting manufacturing process to discuss with kids because many toys are made using molding techniques. Also, from a creativity standpoint, the product offers unlimited possibilities for creative, messy play. 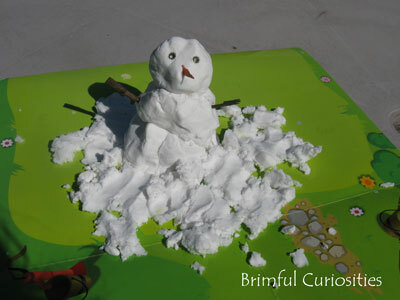 For instance, how many other toys provide you with the opportunity to make a snowman in the summer? I've been curious about Moon Dough since I've seen it on the shelves - I was wondering if it tracked like the moon sand... guess it does!